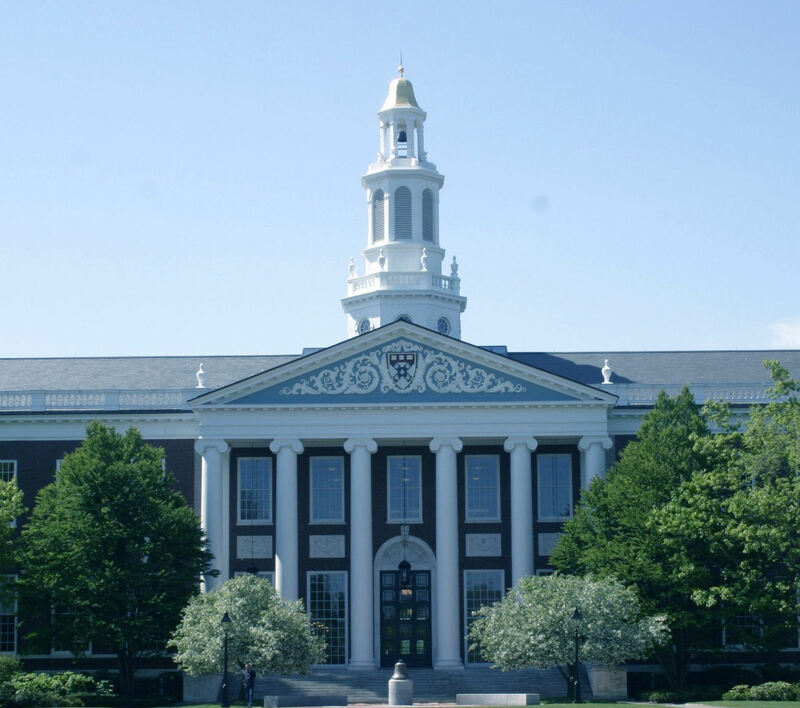 Left: HBS Kiran Gandhi (fair use)  Center: Harvard Business School.  Right: "NASA Scientists Discover Earth's Second Moon" Elite Reader. The ICPA®, ICPA PROFESSIONAL® and INTERNATIONAL CERTIFIED PROFESSIONAL ACCOUNTANT® of the International Institute of Certified Professional Accountants® are global umbrella and unified lifetime designations for international professional Chartered Accountants, Certified and Public Accountants, Internal Auditors, Management Accountants, Financial and Strategric Management Consultants, and other examined professional accountants  see List. Apply for the ICPA®, ICPA PROFESSIONAL ® and INTERNATIONAL CERTIFIED PROFESSIONAL ACCOUNTANT ® under the Common ICPA Application Form. Scoring the U.S. CPA Examination > Special U.S. Application Form. Things Which Should Be Entered in the Books of the Merchants.  Of all the cash that you might have, if it is your own-that is, that you might have earned at different times in the past, or which might have been bequeathed to you by your dead relatives or given you as a gift from some Prince, you shall make yourself creditor (creditore te medesima), and make cash debitor. As to all jewelry or goods which might be your own-that is, that you may have got through business or that might have been left you through a will or given to you as a present, you must value them in cash and make as many accounts as there are things and make each debitor by saying: For so many, etc., of which I find myself possessed on this day, so many denari, posted credit entry at such and such page; and then you make creditor your account (tuo conto), that is yourself (medesimo), with the amount of each of these entries. But remember these entries should not be for less than ten ducats each, as small things of little value are not entered in the Ledger...  Luca Pacioli (1494), "The Rules of Double Entry Bookkeeping. Particularis de computis et scripturis"
Fra Luca Bartolomeo de Pacioli (sometimes Paccioli or Paciolo; 1445-1517) was an Italian mathematician, Franciscan friar, collaborator with Leonardo da Vinci, and seminal contributor to the field now known as accounting. Summa de arithmetica, geometria, proportioni et proportionalita (Venice 1494) is a textbook written for use in the schools of Northern Italy. It was a synthesis of the mathematical knowledge of his time, including the first published description of the method of bookkeeping that Venetian merchants used during the Italian Renaissance known as the double-entry accounting system. 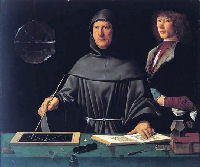 Left: Portrait of Luca Pacioli and his assistant. Painting traditionally attributed to Jacopo de' Barbari 1495.